Sydney Shop Girl: UPDATED!! 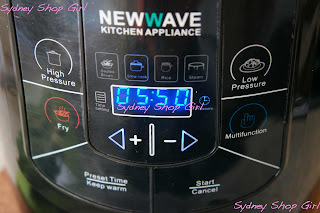 A New Wave 6-in-1 Cooker Review. As Usual, There Was 'Excitement'. UPDATED!! 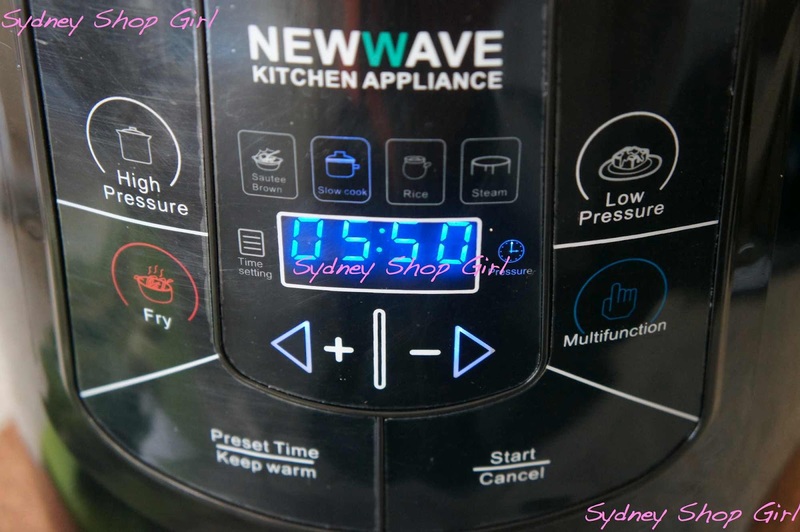 A New Wave 6-in-1 Cooker Review. As Usual, There Was 'Excitement'. I've also been using the steam function a fair bit so I'm adding a section on this to the end of the post. I have a love hate relationship with fancy, electric cooking appliances. Initially, I'm seduced by their promise of convenience and ease of cleaning and then the reality of finding space to store the new piece of equipment sets in. Over the last few months I've been on the verge of buying a thermomix (which I put off because it sounded too complicated), an air fryer (which was vetoed because it would have enabled my fried food obsession) and a Nespresso (though the Aldi version is looking rather tempting). 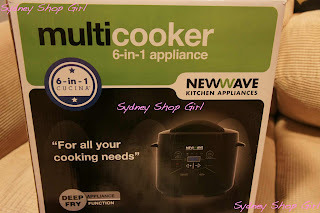 The universe clearly intended me to own a new, multipurpose cooking appliance because Kitchenware Direct asked me to review the New Wave 6-in-1 Multi Cooker for them. The cooker currently retails for $179 on their site and there is a 5-in1 version that retails for $149. The six functions my cooker performs are: slow cooking, pressure cooking, browning, steaming, rice cooking and deep frying. The cooking capacity is 6 litres and it's fully electric. On paper, it all sounded very promising but how easy would it be to use? I'm getting ahead of myself. Let's take a look at the unit itself first. The exterior is an easy to wipe down shiny, black plastic. None of the internal components are dishwasher safe. One of the compromises of a multi purpose cooking appliance is that the lid is a bit tricky. 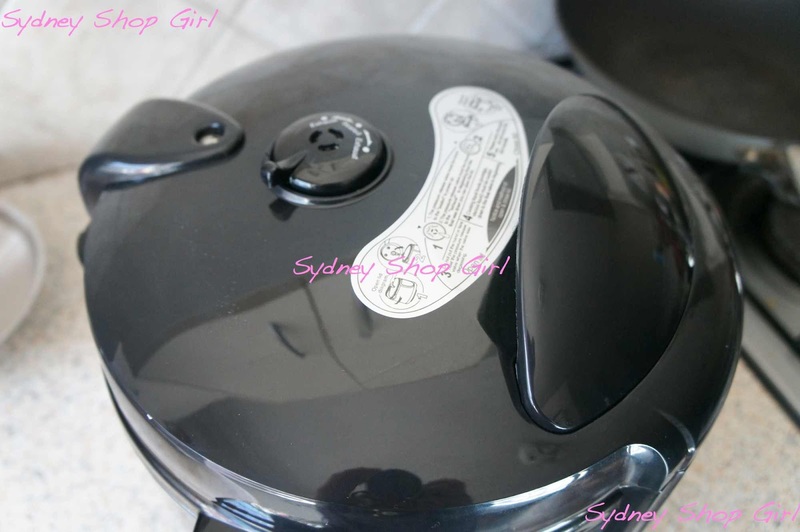 It doesn't open like the conventional lid of a slow cooker and it's also not as easy to use as a straight rice cooker. To open, you need to rotate the lid to one side for the seal to release. The lid does come off completely for deep frying but you need to be able to manipulate a complicated hinge release to do this. The internal non stick cooking pot is removable and has volume markings etched in the side for easy reference. For most cooking methods, the manufacturer states that the cooker should only be filled to 4/5 maximum. 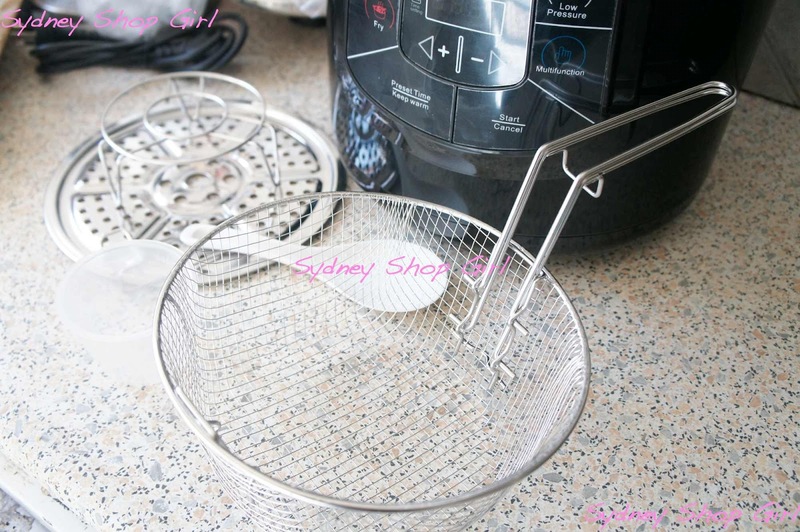 Included with the cooker are a rice scoop and measuring cup as well as a steamer plate and attachments for deep frying. Whilst the instruction manual was comprehensive and included an impressive range of recipes and technique hints to make use of all 6 cooker functions, I felt that it could have been more descriptive about how to engage each function. The unit's display panel has each function portrayed as a touch pad option but there's also a Multifunction key that the manual didn't really explain. Similarly, there is also a timer function for delayed starts but no clear instructions on how to get this going. Googleing did not clarify the situation either. My testing of the 6-in-1 cooker involved making 2 dinners over the last week using the following functions - slow cooking, browning and pressure cooking. I attempted to use the timer function on both occasions but have yet to figure it out. I made a slow cooker Spicy Lentil Soup, the recipe was from The AWW June 2012 issue but can also be found in AWW's Slow Cooker 2 recipe book. Preparation was as usual (wouldn't it be cool if there was a seventh function on the cooker - chopping and peeling?) 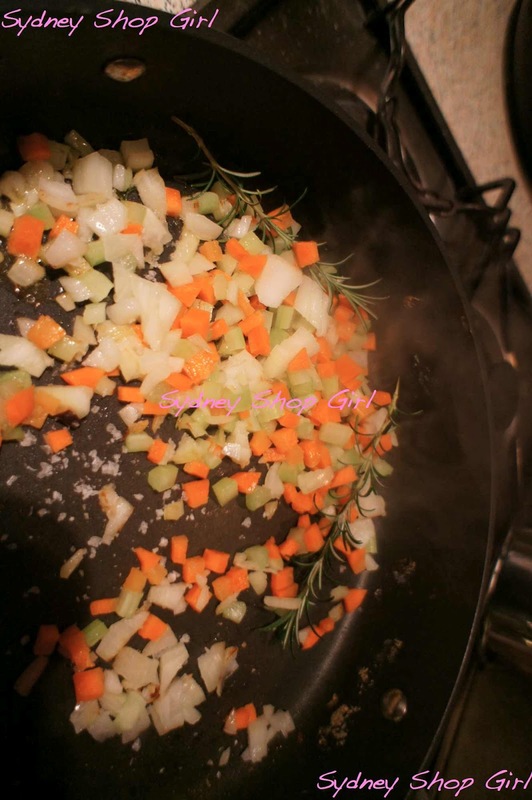 with vegetables to be diced and the other ingredients assembled. There was no need to pre soak the red lentils, they only needed rinsing. I think this is how you get the slow cooker function going. You press the slow cooker button and then manipulate the time using the left and right arrows. I might have pressed the Multifunction button a few times as well. At the end of the cooking time, the manual states that there is a default 'keep warm' kind of function that kicks in. The slow cooker function doesn't have low or high options like a conventional slow cooker. I used the time suggested in the recipe for a low setting and the soup turned out well with the vegetables fully cooked and no burning at the base. Surprisingly, the cooker was as easy to clean as the advertising suggested. I only had to wipe down the electric base and hand wash the pot, steam catcher (at the back of the cooker) and the insulating rubber coil in the lid (which fully separates from the lid). 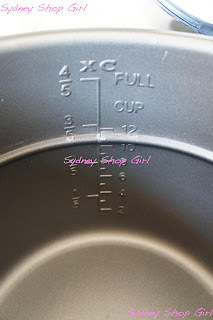 As a slow cooker, the 6-in-1 performed well however it is a little harder to use than a conventional slow cooker in that opening the lid is not a simple matter of lifting it off. This could be a minor inconvenience if you like to taste or check on cooking during the day. 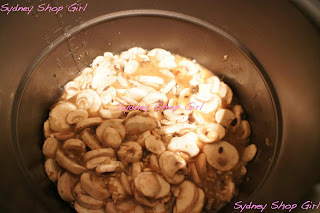 The next recipe I tried was one featured in the cooker's manual - a mushroom risotto. Inspired by Jamie Oliver's technique, I whipped out my Braun stick blender and processed a brown onion, half a stick of celery and a few dried mushrooms (as is, not pre soaked) for browning in the 6-in-1. To my surprise, the browning function really did work! The oil got to a frying temperature really quickly and the heat was even. It took 4 minutes to get the blended onion mix browned and then I added the rice and white wine as instructed. The browning function has a default time of 30 minutes so I counted off the display as I followed the recipe. The dramas (because there's always dramas in my reviews) started when it came time to pressure cook the risotto. The method suggested this would take only 7 minutes. Which is what I thought I'd set the cooker to do. There were flashing digits (which I thought meant the pressure cooker function was engaged) but the timer wasn't counting down as it did with the other functions. I couldn't hear pressure cooker hissing sounds but steam was escaping from the sides for the cooker. In hindsight, this probably meant that an adequate seal in the lid had not developed because though I'd moved the weight to the pressure function, it didn't 'click in' like it was supposed to. So I stood there trying to reposition the pressure cooker weight in the lid whilst having visions of the exploding mess of half cooked risotto when I ventured to lift the lid. Again, minimal instructions about the pressure cooker function in the manual was an annoyance. The pictures and brief text on the lid didn't really help me at all. 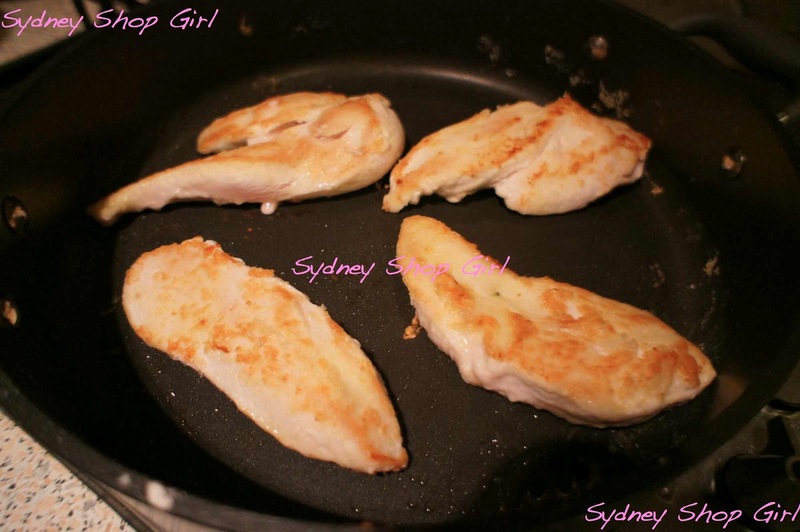 I also got a little old school with the chicken we had with the risotto by browning the chicken in a fry pan. And making a vegetable and porcini mushroom based sauce to accompany it. My DIY Masterchef pressure test ended well. 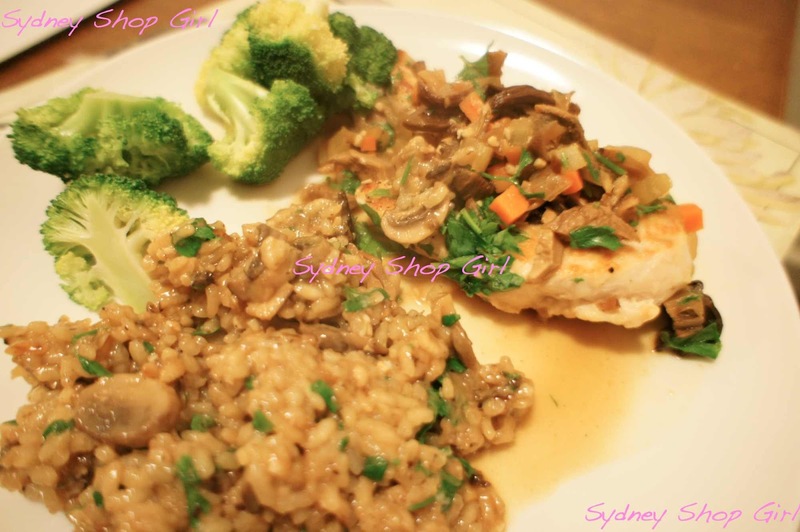 I had the chicken and risotto cooking simultaneously using old and new technologies and they both got to the plating stage within minutes of each other. They also tasted pretty good as well. Works perfectly. I haven't had to adjust the suggested steam times for any recipes I've used so far. No photos, I'm afraid. 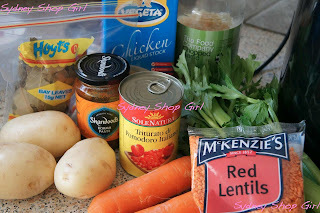 As healthy and as tasty as steamed food tastes, I can never get what I steam to look photo ready. Because it's electric, using the cooker to steam frees up a spot on your stove top which is handy if you've got a few dishes going at the same time for a meal. The only draw back is that you can only steam things in a smallish dinner plate as this is as large a dish as you can fit into the cooker. multiple safety measures to make using the appliance safe, the lid will not open unless the pressure inside the cooker is low, for example. I really, really hope I can get the pressure cooker valve to work one day. Once again, I'd like to thank Brad and Kitchenware Direct for sponsoring this post and tolerating the dramas that inevitably ensue whenever I test a product for them! 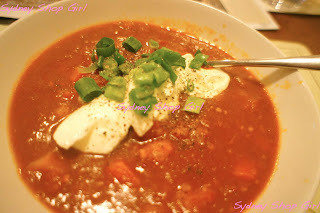 If you're looking for more pressure cooker recipe ideas, check out this link. 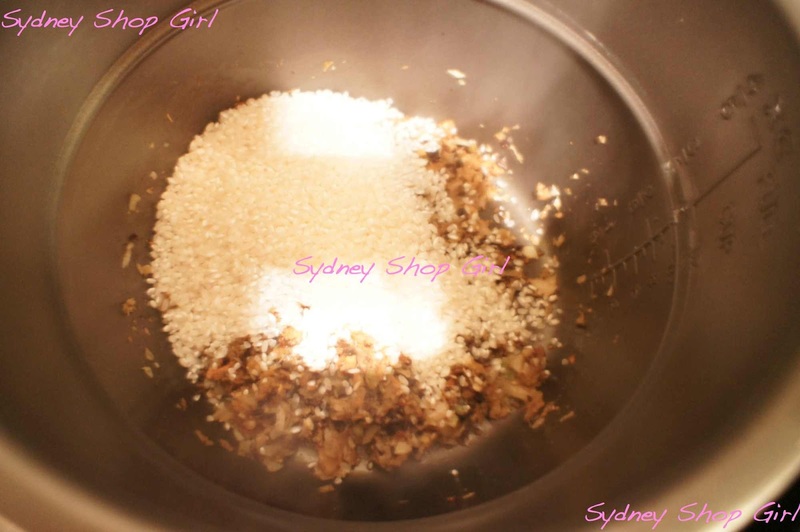 It's got a huge array of recipes and is Australia's biggest website for things pressure cooker related. You did well to resist buying the air fryer. MrBB is obcessed with ours. At this rate, I'm not sure how much longer I'll be able to stomach fried stuff. A bit too complex for me! I haven't even bought a slow cooker yet - I don't do anything that doesn't work in a pot. I love my Aldi coffee machine - best thing I ever bought. And I am not even much of a coffee drinker! The hot choc pods are amazing! Great review, I'm looking at buying a simple to use, all in one kind of electrical genius, but am yet to stumble across a review of a good one. Am also tempted by the thermomix too, but it seems too complicated and the sounds of it is scary - super loud! I have the Breville Fast Slow Cooker. I use it a lot but it did take a while to master the pressure cook function. 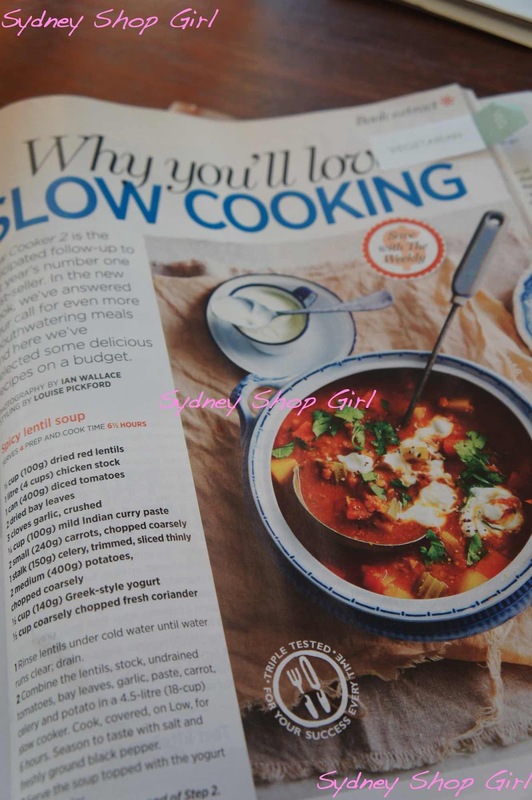 The AWW have an excelllent Pressure Cooking book which I would use at least once a week. 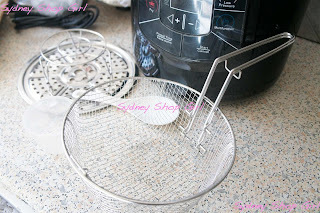 My machine is easy to use (although the lids is complex but I think that goes with a Pressure Cooker). I would persist with the pressure cooker idea as it is so handy once you have worked it out. Mine doesn't have a rice cooker function but will steam. What an absolutely awesome score! I've been eyeing off some of these multitasking gizmos and wondering how useful they would be. I love your review... and the meals you chose to cook with it *YUM*. Sometimes a pressure cooker would be incredibly handy in the kitchen I think. My Nana used to use hers on a daily basis for decades. I like the sound of this that it can do all 6 things. Good on you for giving it a go too it looks so complicated it would have lost me after the first try! Thanks for the review. I hesitated with this product when I got my Tefal pressure cooker last month. Immensely jealous.. I really want one! Do you know if the timer is supposed to start immediately when using the steam function? I cannot get the timer to start counting down and not sure if this is normal. Yes it does, fatima. There is a hinge that you need to release first. I haven't had a chance to use the steam function but the timer did count down immediately with the functions I did use. 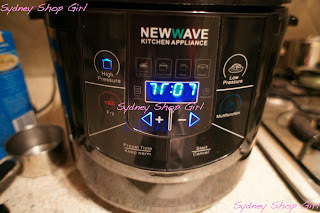 The flashing digits when I did the pressure cooker freaked me out ! I didnt realise it was actually warming up and eventually it started making noises and counted down! The unit isn't very user friendly but in the end my pork (i made bak kut teh) ended up being quite tender :). The valve is frustrating I had it turned to sealed while cooking and once cooking is done I use a wooden spoon to turn the valve to exhaust - this is where the steam will escape so be careful. Wait until steam escapes and maybe a few minutes after and open the lid =) hope it goes well next time and let me know! Have you tried turning the lid and applying pressure downward as you do so? That's the only way I could open mine. 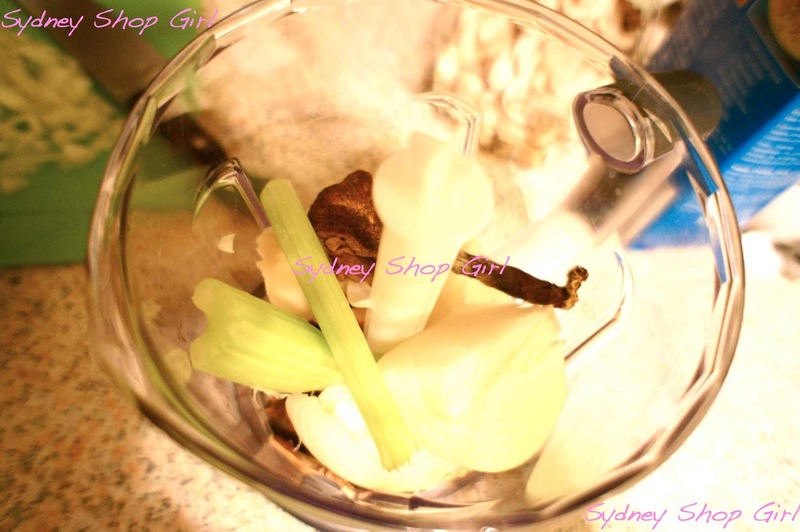 You need a thermomix, its does the chopping for you! 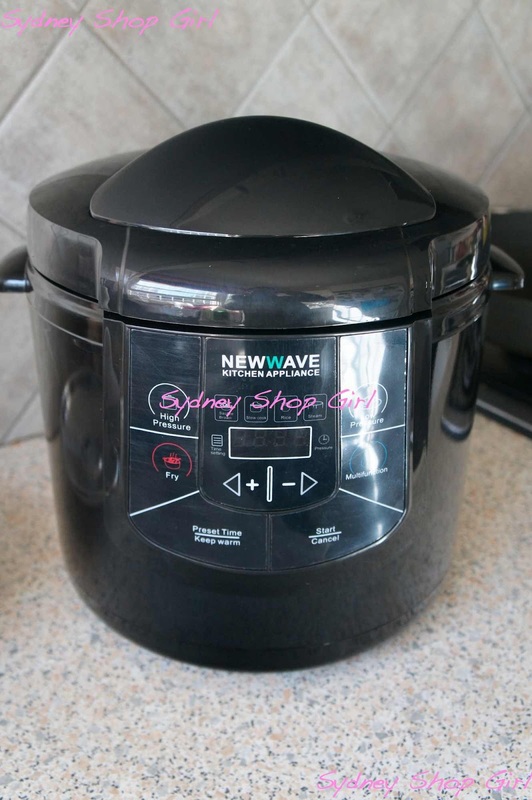 Thanks for sharing this wonderful blog with complete details of New Wave 6 in 1 Cooker with excellent pictures. How do I remove lid for cleaning? The delay timer is so simple! Just hit 'preset time', enter your desired time, then hit multifunction and proceed as normal! And I honestly can't understand what the issue with the lid is? Just turn and lift, like an old-school pressure cooker. 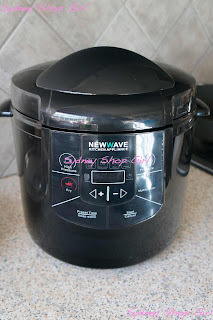 I love this slow-cooker - highly recommend! Hi, thanks for all the info. I have just bought the 6- in-1 and I am concerned that no matter what setting I choose it puffs away in the kitchen like a steam train. I have tried to move the position of the pressure release valve but it seems to make no difference. Is this what it should be doing? I feel I have to cook outside to prevent the walls in my kitchen from being dripping wet after each cooking attempt. I can't stop the steam either. The little plastic bucket that clips onto the back of the cooker does catch most of the moisture but I agree, the steam is an issue. Perhaps someone else reading this review can help? Just used my 6-in-1 as a deep-fryer after taking delivery of it this morning. Excellent results but gosh, couldn't the instructions be made a lot clearer? Just as well I knew how to fiddle a bit, as I have done in the past with my 5-in-1; [Just had to have the new model; our old deep-fryer had recently decided die on us]. the only other comment I would make is that the timer display is difficult to read unless I bend over [and I'm not a tall bloke], and the deep-fry basket is on the cheap and nasty side ... otherwise I wouldn't be without one. Col. C.
For anyone still thinking about getting a Thermomix, if you can afford it, don't hesitate. It's the BESTS thing I've ever owned. My daughter has one and uses it several times a day. Even her mechanic husband proudly makes profiteroles. I was worried that it would be complicated but it's SO easy and it's such a quality piece of equipment. It replaces most other electric appliances and is truly like having an extra pair of hands. It's surprising how much you can accomplish while Thermie stirs and cooks for you. Nothing gets burnt either. 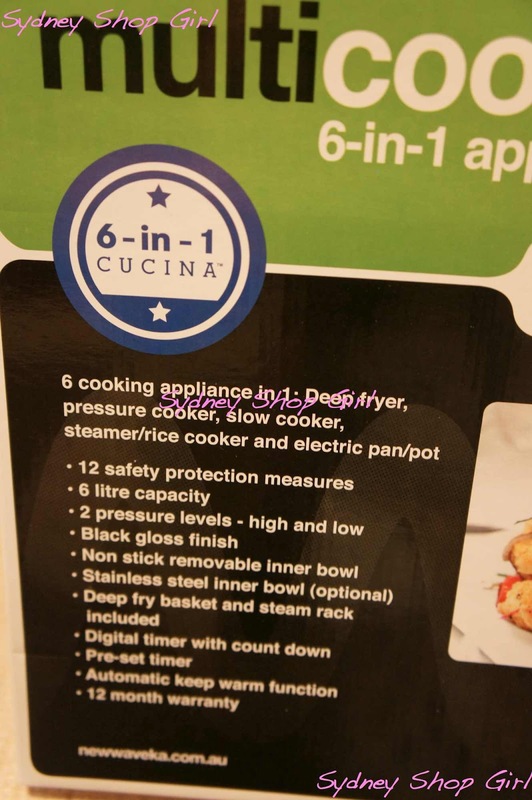 I received on of these 6-in-1 cookers today and while we did eventually manage to get dinner on the table, the instructions are terrible!! Caddy, how on earth would we work out that after pressing the preset button you are meant to press multifunction instead of start to get it to go? Anyway... the meal was nice and the meat very tender which is what I was hoping for. 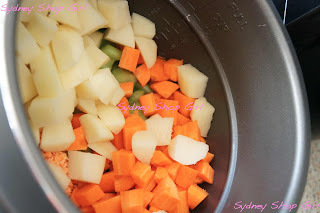 I do have a thermomix and it was a different experience to have to cut up the veggies to go into the cooker, and stir them as they brown. As the previous comments said, a thermomix is very easy to use and cooks up wonders that you'd never have attempted otherwise. 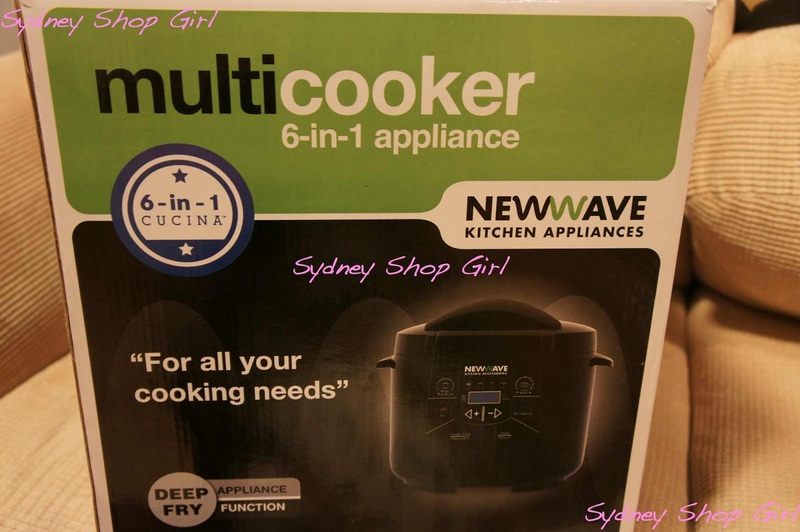 I also recently received one of the 6-in-1 multi cookers and have had a couple of issues with it. Hoping someone might have any suggestions for me as the instructions are just terrible! Last night I tried to cook a corned beef (first time Ive used it) and all I got was a raw piece of meat with a burnt bottom. The pressure did not seal, the steam was escaping all around the edges of the lid and the valve did not work at all. My cupboards were dripping wet with water and I had to finish cooking dinner on the stove. What did I do wrong? My second issue is the 4 small buttons at the top of the cooker: Brown, Slow Cook, Rice & Steam....none of these seem to work either. The instructions say: Plug the unit in (I did), Press the Brown button (I did), Press the Start button (I did). But nothing happened, they dont even light up. Could my machine be faulty or is it me? Any comments would be appreciated as I love the concept of it and it would make a great addition to my kitchen.........if I could just get it to work. Hi ,I've been eyeing this appliance for ages and are about to buy one when I read a few reviews saying that the 6 in 1 seemed to leak steam which dripped down the sides near the plug ,apprently the 5 in 1 does not do this and is the better of the two? I have had mixed reviews.Is this true? I'm shopping for a new pressure cooker. This will be my first time buying. After reading many reviews I think I've settled more or less on an electric pressure cooker by Instant Pot. http://www.cookwithpressure.com/instant-pot-ip-lux60-pressure-cooker-review/. Do you have any other recommendations? How is your machine? Thank you! AVOID at all costs. Unless you are a nuclear physicist with the patience of Job to get it working for you. I just bought one and went to use it and experienced the same problems with the manual. Panicked as I was making a very large dish for a girl with sick mum. The phone number on the back of the manual rang me back and the gentleman was extremely helpful. After that it was extremely easy! I was trying to press what I thought was the Slow Cooker button - which isn't a button after all. The multifunction button is the button that you use as mentioned above and I just hit that twice and it jumped across to the Slow Cooking function. Adjusted the time to 8 hours - start and away we went. If you do get one don't panic - the service line returned my call very quickly. Sorry I had to pop back to add to my comment above now that the 8 hours is up and I have a beautiful meal in the fridge ready for tomorrow. 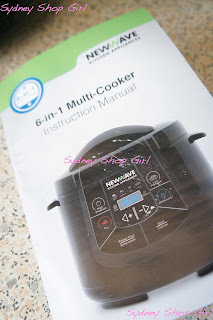 The slow cooker is definitely easy to use and I was trying to use the 6 in 1 in a spot with a lot of natural daylight so once night fell it lit up like a Christmas tree and it a lot more made sense. 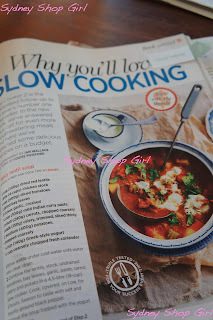 I'm really happy with the slow cooker component and can't wait to try the other features. Thanks again so much for the post Sydney Shop Girl and all the comments I would have been lost without them and the phone number on the back of the manual. 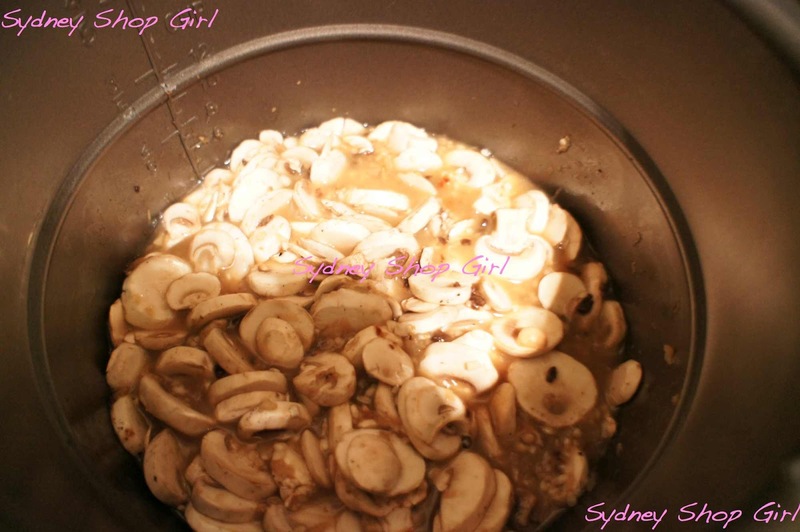 Ok, looking for slow cooker for Christmas present for 3 daughters. Not sure if this could be the one. Comments or reviews will be helpful. I'm currently having problems with my 6-in-1 New Wave. It switches from slow cook to pressure by itself and back again it seems. Will not slow cook any more. Was happy with it but now????? ?